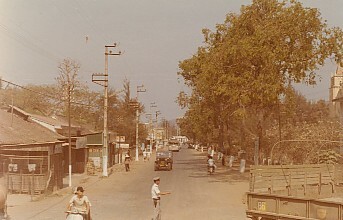 Main Street, downtown Baria. Remember the White Mice? Shoot first, ask questions later? The bombed out picture theatre was on the left, the orphanage on the right. Straight ahead was the bridge and shops.